A 1950 NHL Hockey Hall of Fame inductee, Lalonde enjoyed a successful career as both a player, mostly with the Montreal Canadiens, and later as a player/coach and coach in 5 professional leagues. 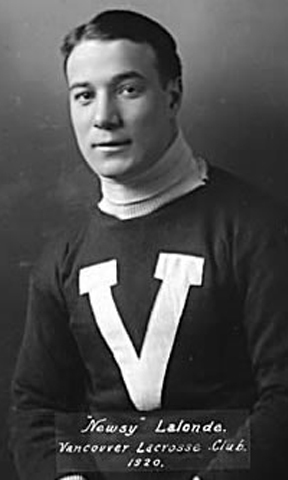 Lalonde, who earned his “Newsy” moniker thanks to a job he held at a newspaper as a teenager, spent six seasons in the NHL between 1917 and 1927, tallying 165 points and 124 goals in 99 games from his center position. He was also a member of the Canadiens’ very first Stanley Cup championship team in 1915. In the 1931-32 season, his one and only behind the Providence bench, he piloted the team to the regular season title with a record of 23-11-6 (.650), followed up by hoisting the Fontaine Cup to wrap up a championship title.